The Community Employment Agency (CEA) is a division of Moncton Employment & Training Services Inc. which provides supported employment services to persons with intellectual disabilities (including those considered slow learners) and persons with brain injury. The Community Employment Agency has been providing supported employment services to the Greater Moncton Business Community since the early 1980’s. In 2003, CEA expanded its services to include the south east region of New Brunswick and partners with inclusive employers to help fill their personnel and labour needs. CEA works with employers and individuals to ensure long term success. All of our services, including Job Coach supports are at no cost to either the job seeker or the employer. CEA offers services in both official languages. We are success oriented, providing services which generate positive long term outcomes for both employers and job seekers. For over 25 years Debbie has been the manager for the Community Employment Agency (CEA). 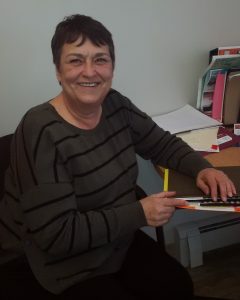 Debbie has worked within the Human Service field for 30+ years both within New Brunswick and Nova Scotia working with persons with disabilities, their families, professionals and community organizations. Her work and commitment on a provincial and national level to supported employment, and an inclusive and diverse work force has lead CEA and it’s staff to connect and support individuals with disabilities and employers in our community, thus securing long term employment connections. Debbie is committed to promoting employment for persons with disabilities, all of her efforts are focused towards employment equity for persons with disabilities. 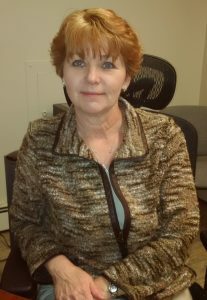 As the employment coordinator for the Community Employment Agency (CEA), Peggy has been connecting individuals and employers throughout the southeast region of New Brunswick for the past 7 years. Peggy works with both parties’ in meeting their employment needs and ensuring a successful outcome for all. Peggy brings to this position not only 30+ years in the Human Service field, but a passion and commitment to her role that is second to none. Peggy gets excited about educating others about hiring persons with disabilities and working with all parties to ensure success. A division of METS Inc.